While breakthrough medications offer tremendous clinical benefits for patients, the prices charged for prescription drugs is a major threat to keeping health care affordable for Massachusetts employers and consumers and a major factor in the Commonwealth’s failure to meet the health care cost growth benchmark in 2014 and 2015. Exorbitant increases in prescription drug prices have been consistent across all segments of the pharmaceutical industry – specialty, brand-name and generics, and state reports have shown that spending on prescription drugs has significantly outpaced overall health care spending growth even after accounting for discounts and rebates. 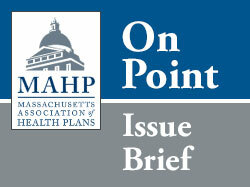 The policy brief examines the continued challenge presented by increases in prescription drug prices, the impact on the Commonwealth, and public perceptions on prescription drug prices. It also outlines a series of measures that policymakers should consider to address rising prescription drug prices and ensure that the entire health care system is accountable to making health care more affordable.